but the calender says it's September, so it's good enough for me! 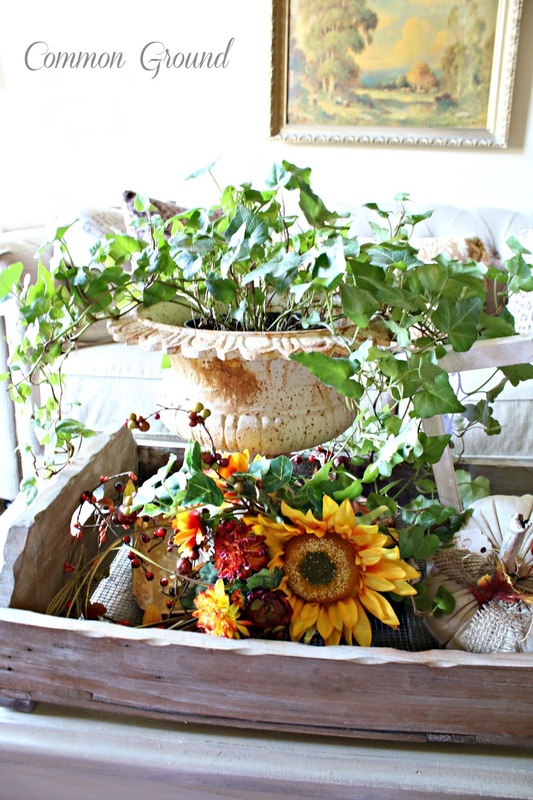 Last January and February when I was packing up all my boxes of faux flowers and Holiday decor to take to the storage units, I tried to grab a few Fall things and keep them separated to bring to the lease house. Back then I had no idea where we would be this Fall. Fall was about as far from my mind as it could get, but I'm so glad I had a little forethought to do it. I have tons of Fall stuff over at the storage units that I might not find or unpack till months down the road, so these few little things will have to do for now. Decorating here at the lease house is slim pickins, as we will probably be moving by the end of the month. This little house is filled with boxes and odds and ends from the "clean out" of our old house, so just a taste of Fall will have to do. This little paper mache squirrel was a gift from my younger daughter several years ago, and he always has a place of importance. This year he took up residence in one of my Pottery Barn lanterns here on the old trunk, that we've been using as a coffee table. The base "tree trunk" is really a little box and the squirrel is the lid. This is one of my wonderful Pumpkins that I bought from Becky at Timewashed, last year. 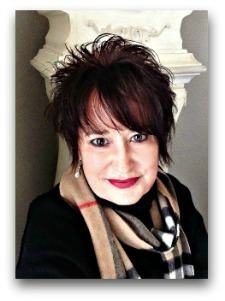 She's in full Fall mode, so check out all her creations HERE. If you want something special, just let her know. She sells out before she can get them listed. ...and my favorite version from 2012.
just a scraggly ivy that's managed to hang on. I'll check back with you on a house update. I've been tearing my hair out over the right paint color. Seems that Ben Moore Smokey Taupe changes throughout the day due to lighting. The old paint that was pinky/sandy/fleshy/salmon has been driving me crazy cause it reflects on my new paint. I cannot get that suff covered up fast enough! It's taken a few sessions of my husband talking me down from the ledge to finally get it settled. See that sofa in the background? Somehow it wants to read as dark khaki/green at the new place...just a few of the issues with paint. Ah~h~h. . .September brings on the beginnings of my favorite Season, also, dear friend!!! Also, our Annual Trout Fishing Vacation to Bennett Spring. . .and shopping! This year it will be Robin's Vintage Suitcase and then on to Ozark! 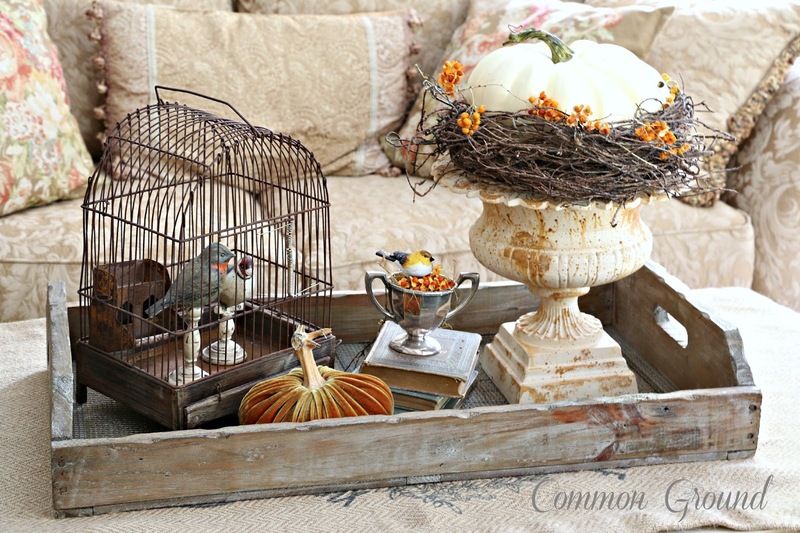 I adore your tray filled with Autumnal Decor!!! I am terribly sorry you're having so~o~o much dilemna over paint hues. I agree, get it right, do it once!!! 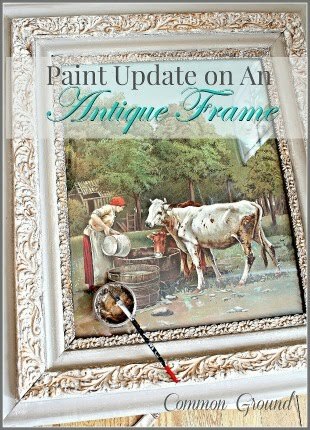 Here's to wishing the "perfect" hue is just a brushstroke away!!! 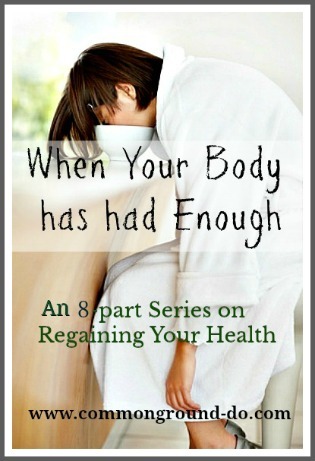 For some reason I thought you'd moved. I guess what I recall is your getting the keys. 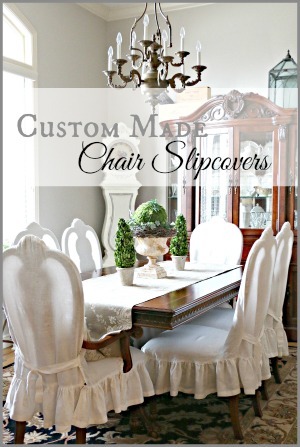 You are going to have a blast decorating the new place! 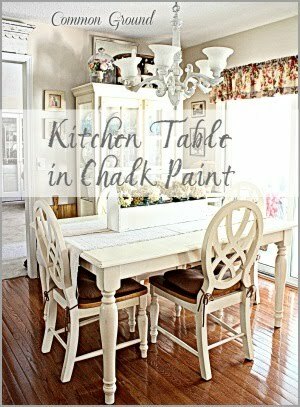 You Fall vignettes are so pretty, and I do would love to have that soup tureen! I do love Fall but I don't want to rush it because it means my garden will be gone soon! I'm working on Fall projects, but hope not to put them up. Also it's so hot and humid here hard to think of cooler weather/season. Today at GW I found a very chippy looking lantern and plan on using it in Fall decor. I bet you can't wait to get in your new home. Your home always looks so festive no matter what the season. 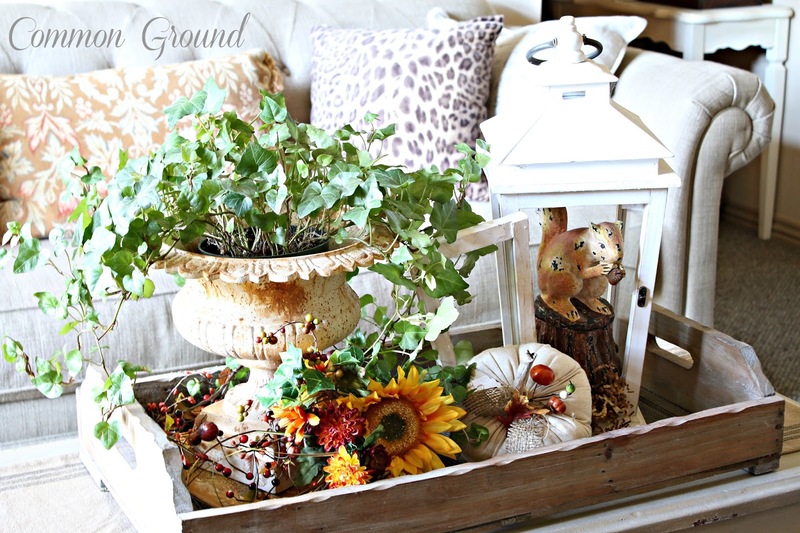 Love the fall vignette you created with the things you set aside. So pretty! 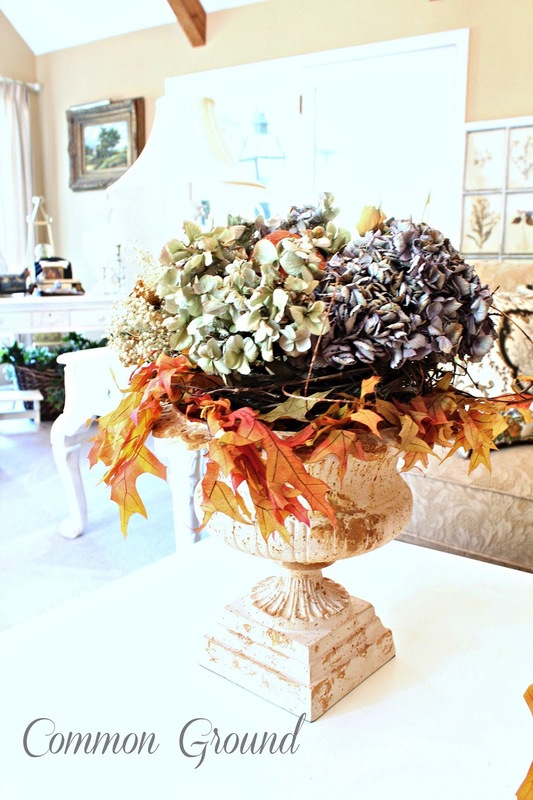 Beautiful Fall vignettes my friend! Love them and have a happy September. 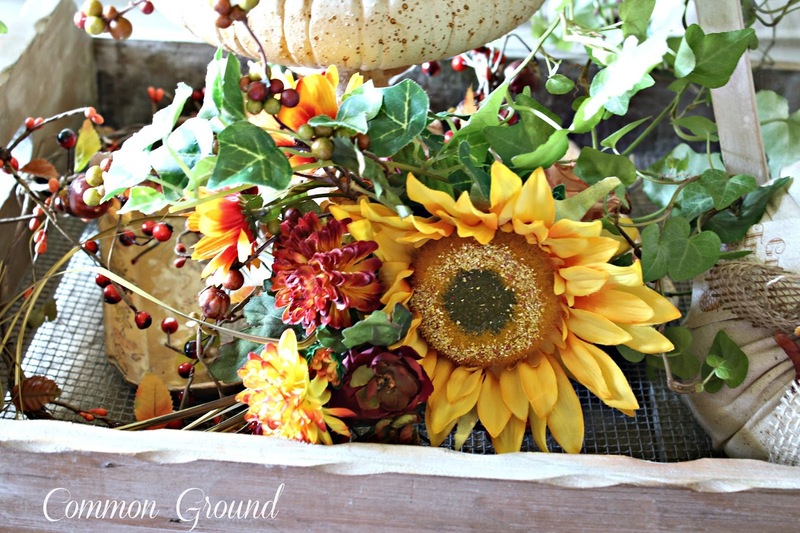 I love your fall décor all rounded up in the pretty wooden tray. I've got fall on my mind too and need to get busy decorating my booth. Can't wait to see more of your new home. I love that urn, Debra! I think it has done you proud through all your years of fall decorating, as you've shown here. 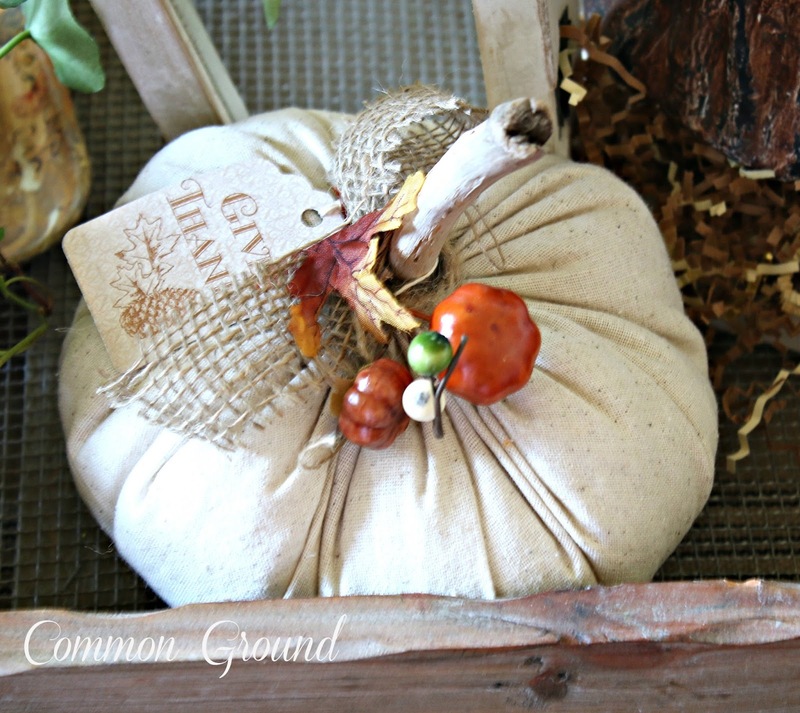 Such a versatile piece to include and it looks great holding a pumpkin. I love your squirrel! I hope you get your painting woes figured out. Everything in my house reads a little green. I can't wait to read more about your move. I'm so excited for you. I hope you find the "right" color for your walls, but in the meantime, your autumn vignette looks lovely. I haven't taken out a single thing for autumn yet. I'm sort of hoping we northerners can hang onto summer a little longer. I can't wait to see how everything comes together, Debra! Best of luck! 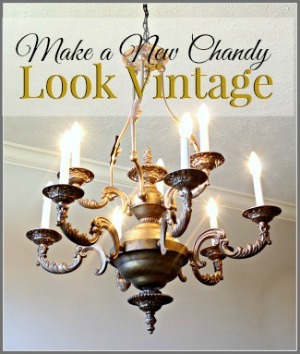 Love your new vignette and enjoyed your beautiful past ones!!! !...Have a great weekend!!! 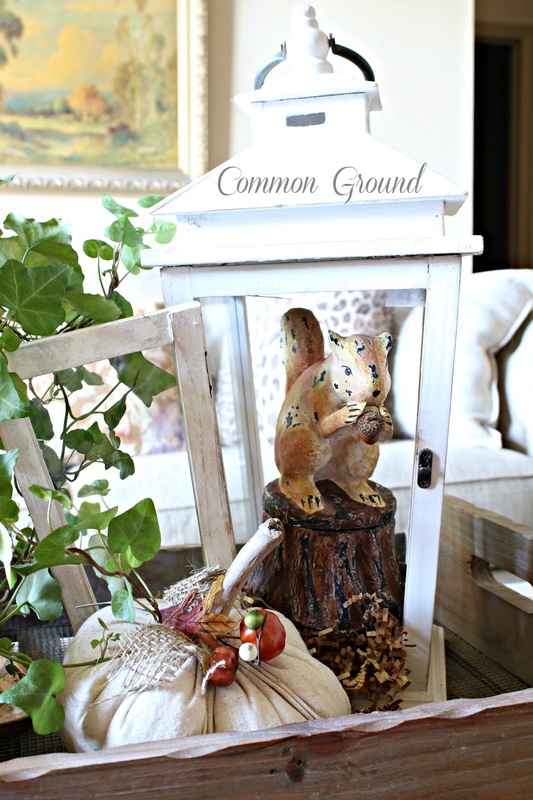 So many pretty vignettes, love your squirrel! That looks so pretty Debra along with the ones from years past!! Loved them all! 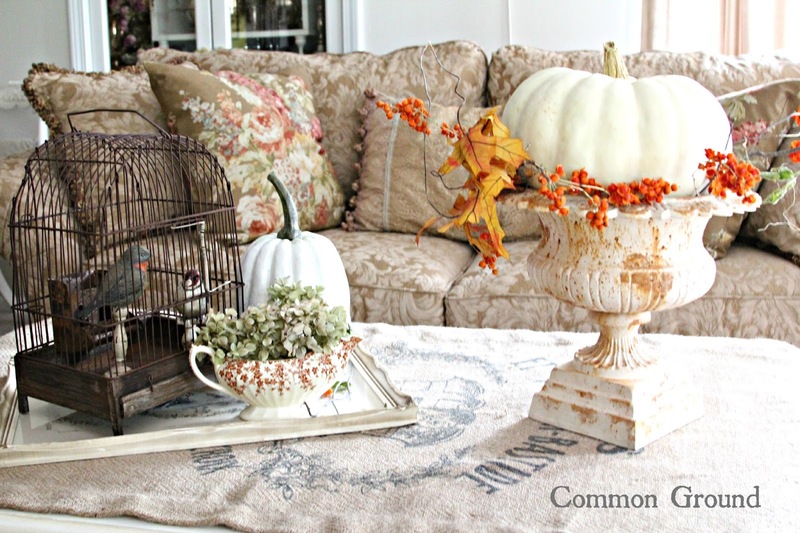 I love your Fall vignette, and it has given me an idea for my dining room table too! 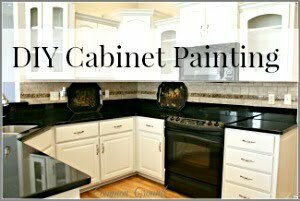 I get it about the paint, it is so frustrating sometimes when it changes color! Can't wait to see what you are doing at the new house! Oh I love your Fall decorating! The little squirrel is so cute. I love the pumpkins. I am trying to get in the mood to make some. I saved fabric from last year especially for pumpkins. You've inspired. 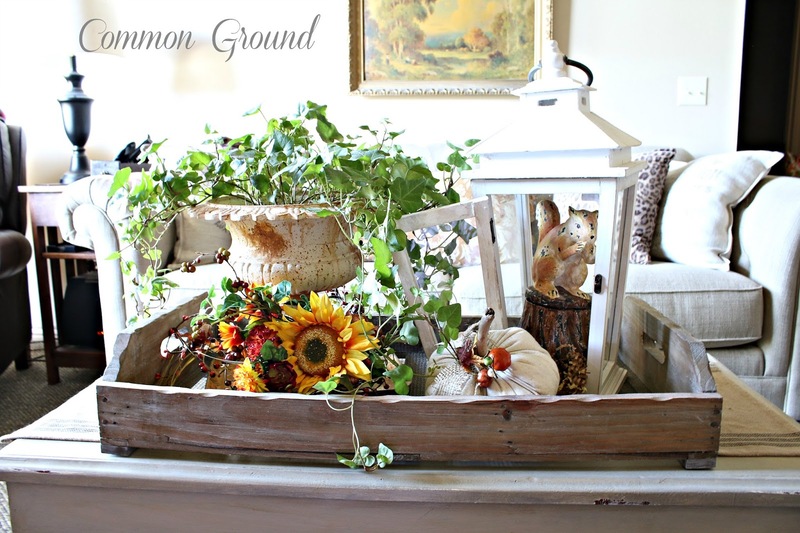 I'd love you to share your great post at my Fall Party linky! Come by and see me. I am following you so I'll be back! 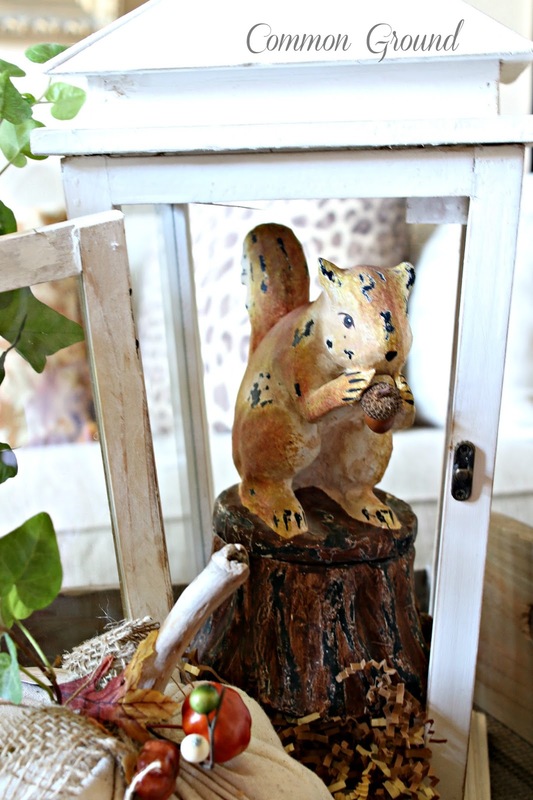 Love your fall vignette, Debra...especially your whimsical squirrel! I have some of Becky's little pumpkins...so fun! It really is a challenge picking colors with changing light, etc...sometimes my paint looks gray, sometimes taupe...hope you find that perfecy color soon! Yes, the 2012 version of that urn is my fav too! 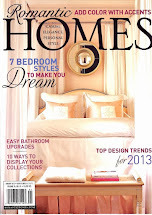 I have it as the cover photo on my neutral fall Pinterest board and the cover photos seem to get pinned the most! Ya! Happy almost fall. It is time to decorate! !